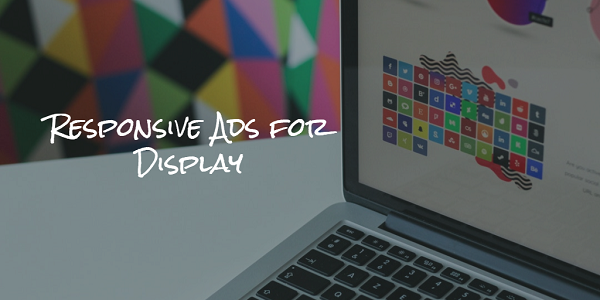 Introducting Responsive Ads for Display - eBiz ROI, Inc.
One of a marketer’s most important skills is being able to read and cater to an audience. If you’ve ever had the unfortunate experience of equating Star Wars and Star Trek to fans of the two, you know exactly what I’m talking about. No two individuals are the same. They have different likes, dislikes, and needs. 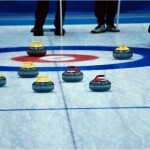 A successful marketing strategy takes this uniqueness into account when making decisions. But online audiences are getting larger and more diverse all the time! How can one intrepid marketer possibly reach out and connect with all of them on an individual level? Surely, this must impossible. As usual, Google believes they have found the answer to this advertising conundrum: responsive ads. The company has certainly kicked up a lot of dust about responsive ads lately. But what are they, exactly? What is their purpose? And how can you best utilize them in your marketing strategy? What is a Responsive Ad? 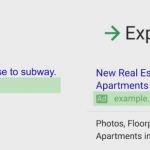 Google has been moving away from text ads on their display network and toward something more stimulating and interactive. These are namely, responsive ads. These new ad units contain both text and image dimensions, and serve as a bridge between the text and banner ad types. Already compared with their previous text counterparts, responsive ads are showing higher click through rates, and allowing more accessibility to the Display Network for new advertisers. Greater accessibility is allowed because advertisers no longer need to customize their display ads to fit within one of the GDN’s (Google Display Network) 20 approved banner types. 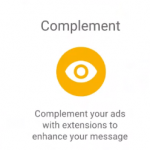 Now, responsive ads may be created to fill any available space on the GDN. This removes the need for a team of specialists to help design ads. As their name suggests, responsive ads achieve this by being responsive to the amount of space available on the GDN at any given type. When an opening to show your ad appears, Google will choose from one of many possible image and text combinations you have provided them and make a relevant ad to fit the spot. This in turn makes it easy to appeal to a wide variety of users with a relatively small amount of ad creative synthesized on your part. Responsive ads are efficient as well as innovative. Here are some suggestions which should make using responsive ads as productive for you as possible. Optimize for Image Scaling – Though Google allows you to upload any images you want to constitute part of your responsive ads, know that not all images will fit in all available ad spaces. In other words, be careful not to be too attached to a certain image! Try uploading various sizes so it can fit in more than one type of ad space. No Sizes are Optional – In order to make sure all ad variants you get have the best possible representation of your brand, you’ll need to treat all “optional” fields are though they were “required”. If you need to, crop your images to fit all available sizes. Try and Be Flexible With Your Logo – Responsive ads work in either “portrait” or “landscape” view, again, depending on what is available on the GDN. Because of this, your logo, like all other images, will appear in one of these two formats. Edit your logo to look good in both views. You’ll be in better shape than if its stuck as one or the other. Pay Attention to Combinations of Text Lines – Responsive ads are great in that they give you a lot of characters to play around with. The downside to this expanded amount of room is that you can’t always tell in which order the text will appear. To combat this, design text that can make sense regardless of the order in which it appears. Good luck to your creative teams with that. 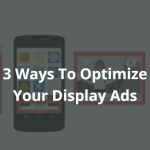 Responsive ads are changing the way advertisers use the Google Display Network. 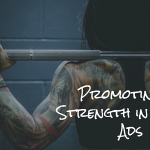 By adhering to a few basic best practices and being aware of the benefits and drawbacks of this new ad type, advertisers stand to gain more accessibility and visibility to boot. Keep reaching out for those diverse, arrayed audiences, and your marketing strategy will keep your business booming.